Das Buch von David Carson ist in Zusammenarbeit mit dem Laguna Art Museum enstanden. Es gibt einen Einblick in die Entwicklung des Surfboarddesigns von 1900 bis in die heutige Zeit. 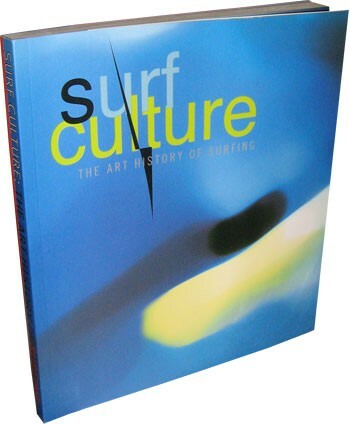 Designed by David Carson and published in conjunction with an exhibition at the Laguna Art Museum in July 2002, Surf Culture examines the history of modern surfboard design from 1900 to the present and features over 100 surfboards. 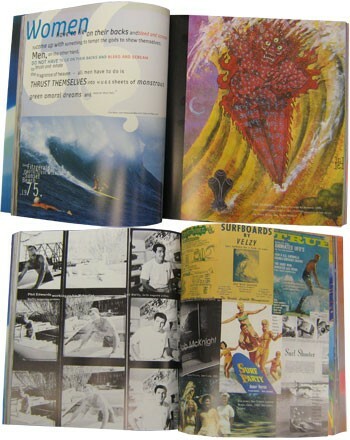 It is the most comprehensive examination to date of surfing's impact on western culture and its cultural bleed into mainstream. Both exhibition and book will explore surfing related activities and by-products such as skateboarding, surf photography, film, clothing, and music and make an assessment of their socio-economic impact. Works of art featured are all surf-influenced and by artists/surfers who have achieved prominence in either the art world or popular culture - Craig Kauffman, Billy Al Bengston, and Robert Irwin to name just a few. Guest curator for the exhibition is Craig Stecyk of Dysfunctional fame. "toller wettbewerb.... mal was anderes!"